Welcome to my growing collection ideas for teaching data concepts within the Digital Technologies Curriculum. The ideas and resources are organised around the content descriptions and bands of the Australian Curriculum: Digital Technologies. 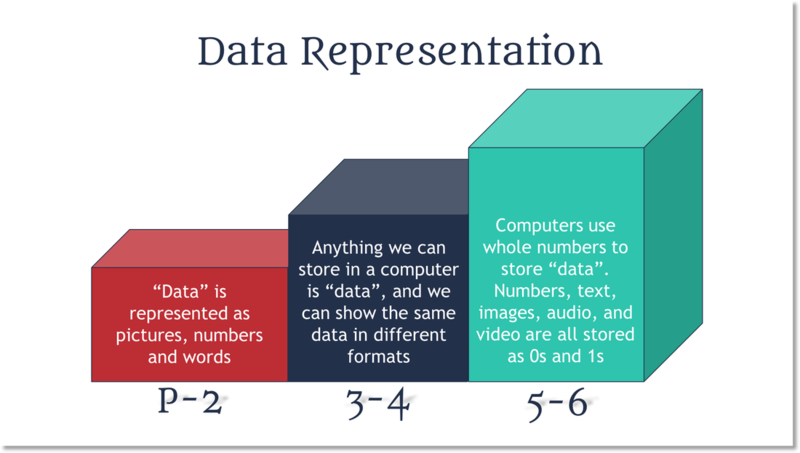 Across the primary school years, students develop their knowledge and understanding of data through exploring and examining the representation of data. They develop processes and skills for handling data as they collect, sort and present data using digital systems.